Killarney Mahony's Point Hole 2: This uphill dogleg right par four is a tough golf hole with a drive that must avoid all the bunkers as well as the dense "forest" to the right side. The green is also angled and tiered, with a bunker short-left and another on the right side. Killarney Mahony's Point Hole 3: The third is almost a mirror image of the second, as this one doglegs left around a grove of trees as well. However, the drive is more open as there are no bunkers and it is downhill with a nice view of the lake beyond. The green has a massive false front so the player must take enough club to stay on the crowned surface to avoid rolling back into fairway or one of the bunkers. Killarney Mahony's Point Hole 11: This long par four is the toughest on the back nine and doglegs right around a few large trees. The toughest part is that the green has a large bunker on the front-right that guards a green with also a false front and a massive tier running through it's middle. So, it's a very long par four with a very tough green to putt. 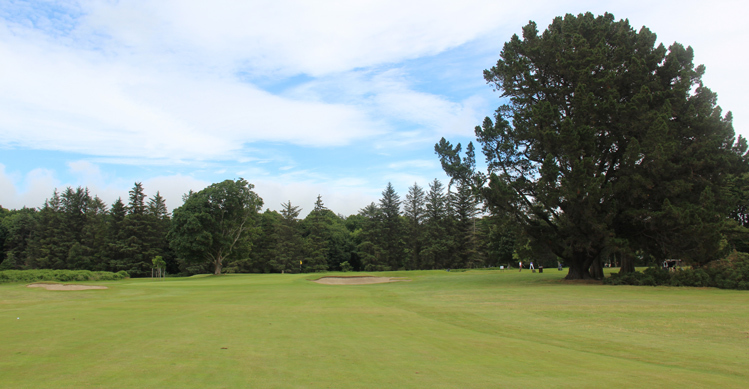 Killarney Mahony's Point Hole 13: This short par five has trees right and left of the fairway, but a drive of over 200 yards from most tees will easily clear the ones on the right, so the left trees are more dangerous for the big hitter as they start closer to 250 from most tees. The second shot can be played many ways, but it must avoid the small hazard running across the fairway about 75 yards from the green. The green is elevated, small and has three bunkers as well as severe tilt for front pins. 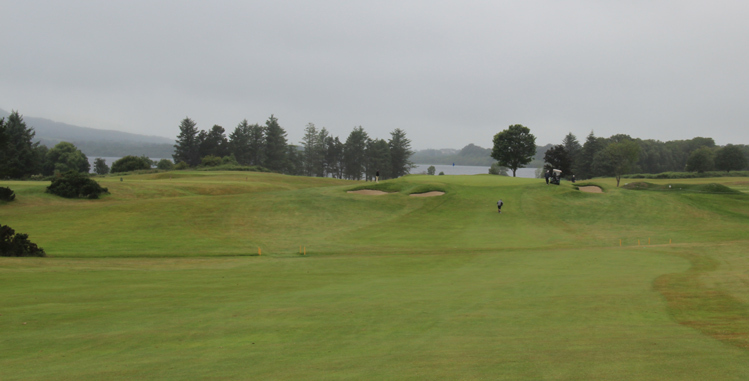 Killarney Mahony's Point Hole 16: The trio of great closing holes starts with this short, downhill par five. If the drive can stay right-center, but avoid going right into the trees, most golfers with decent power can go for the green in two. There is plenty of room to hit drives to the left, however. For either angle, there is a hazard that crosses about 75 yards from the green and the approach narrows between trees on both sides, with the back of the green sitting nicely along the lake's edge. 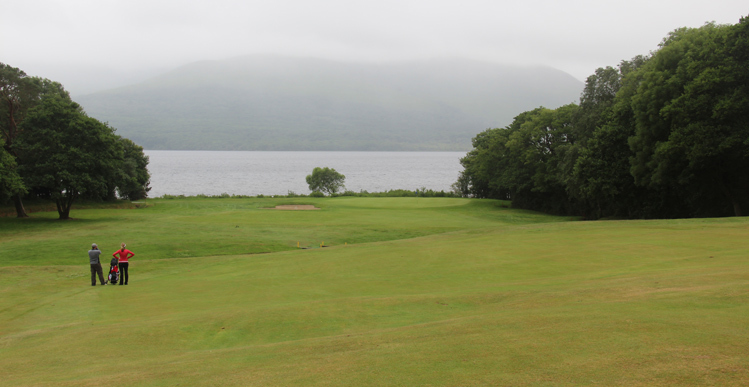 Killarney Mahony's Point Hole 17: This medium length par four follows the lake's edge and curves slightly to the right. The hazard is obvious and is in play on both shots, but there is a also a thick row of trees that will block any shot this it hit too conservatively to the left. The views are fantastic. Killarney Mahony's Point Hole 18: The finishing hole is a par three, and a very good one at that. Between the views from the tee or green as well as the actual difficulty of any pin placement close to the bunkers, this will be a test of nerves for golfers with cash or score on the line. Top 100 Golf review of Kilarney Mahony's Point. TripAdvisor Reviews of Kilarney Mahony's Point Golf Course. 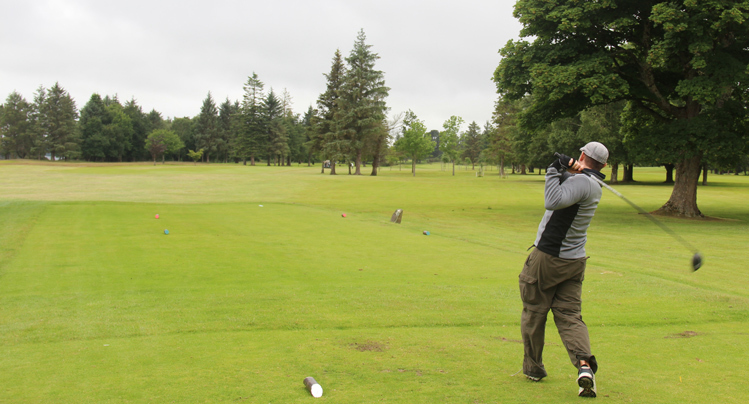 Some interesting background on Kilarney's Golf Courses.